Played 1950-02-11, as part of an East-West match. 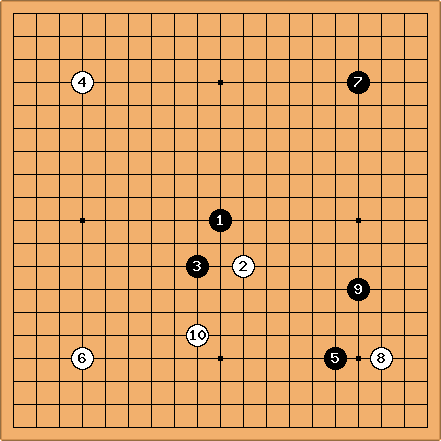 Black was Yamabe Toshiro then 5 dan; White was Hashimoto Utaro then 8 dan. Both players use to the maximum the three first-played stones... Again, lots of fighting spirit. 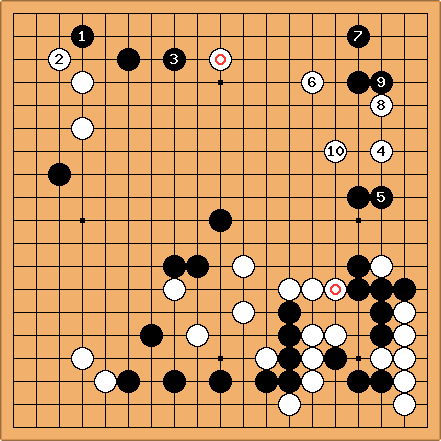 Black 39 is a mistake in direction: it should have been a block to the right of Black 23 (the marked stone). 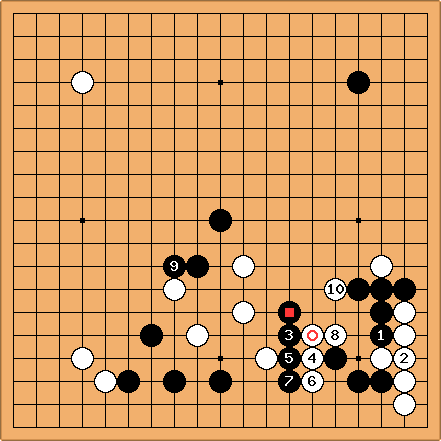 When White connected with White 40 to White 46 he had already a favourable game. Yamabe resigned at move 234. Almost exactly 7 months later, on September 13th, Hashimoto lead the secession of the Kansai Ki-in from the Nihon Ki-in, bringing the Honinbo title with him. AvatarDJFlux: I used this game for one of the questions in my second series of quizzes. 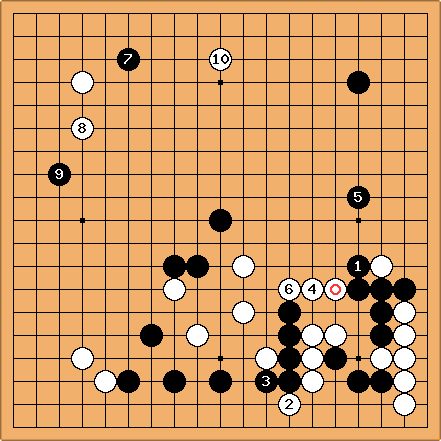 In the solution page I gave a little historical information and the first 60 moves (Hashimoto was already ahead by then) with very sketchy comments.